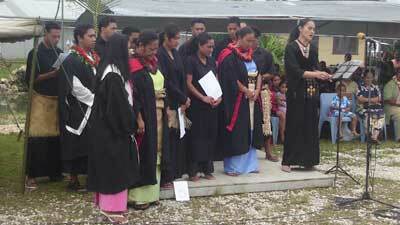 AFPA, established in 1987 under the patronage of princess Pilolevu Tuita, is another division of the Institute. Like the Institute itself, AFPA had a humble beginning but has now developed into quite a formidable creative force. AFPA began by offering lessons for beginners in a range of instruments such as classical guitar, piano, cello and violin, as well as voice training, dance and drama. Its activities now include superior choir performances of European classical and operatic repertoire, as well as Tongan performing arts. 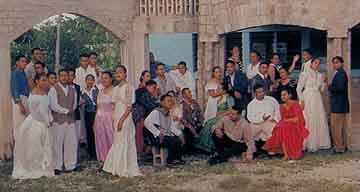 The Tongan performing arts have been nurtured by Afokoula (Golden chord), an AFPA group composed of both staff and students, which over the past two decades has critically preserved traditional and classical Tongan music of particular rhythm and beauty. AFPA's choral and dance ensemble toured New Zealand in January 1997 ... and both New Zealand and Australia in January 1998. The group then toured Fiji in December 1998, and the USA in mid-1999 and 2013. Four of its principal vocalists have been recruited by the Sydney Conservatorium of Music at the University of Sydney.